New Zealand-based Martin Aircraft Company’s flagship product is an unconventional flying machine: a jetpack that might seem like a prop from a sci-fi movie, were it not for the fact that it’s well on the road to commercialization. 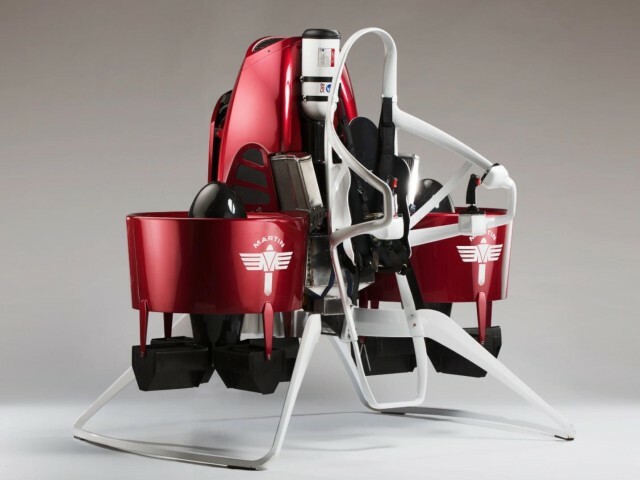 Ni October, New Zealand’s civil aviation authority cleared the company’s Prototype 12 model jetpack for manned flights. The fan-propelled jetpack, when shown in June at the Paris Air Show, could soar almost 1,000 meters and fly up to half an hour. The company’s jetpacks are expected to become commercially available sometime in the second half of 2016. The jetpack’s development is one example of the big ideas and big bets being made across transportation-focused enterprises, where companies like Martin Aircraft are racing to the far edges of what’s possible. We live on the precipice of a time when cars will be “fully autonomous in the long term”, according to Tesla CEO Elon Musk. In a call with electric vehicle shareholders this month, he gave it 15 to 20 years. There are plenty of other transportation entrepreneurs with similarly imaginative plans of their own, from spaceships that make suborbital flights to aircrafts that take off and land vertically. The Guardian reached out to a few of these innovators to get a sense of where the future of transportation is headed. We asked how they’re addressing the inherent technical challenges and why they decided to get into this space in the first place. What we found is strong optimism for a near future where strapping on a jetpack could be as normal as getting behind the wheel. Martin Aircraft plans to launch its jetpack in the second half of next year. The company provided the Guardian with this demonstration video. Martin Aircraft CEO Peter Coker knows his business might appear to be built on a fantastically improbable vision. “It was my son who persuaded me to join the company,” Coker said, despite the challenges. “We were on holiday, and my son, who works for a boutique investment company in London, rightfully pointed out: ‘Why wouldn’t you want to be involved in the biggest change in aviation in the last century?' "
In a hurry to get their jetpacks to market, 2015 has been something of a defining year for the company, which has in recent months been locking up agreements, partnerships and showing off the design to potential customers. It has expanded to 53 people across 13 nationalities and is listed on the Hong Kong stock exchange. Describing the future of jetpacks, Coker envisions a “highway in the sky” or a “fourth dimension of transport”, where the average person can rapidly travel from one point to another. The concept of a flying jetpack might sound like a hard sell to dubious investors and perhaps a bridge too far for potential partners and customers. But Coker says just seeing the thing can help clinch a sale. When his company shows a picture or video of the concept or presents a prototype in action, Coker says it “immediately triggers the dream I had when I was a kid”. In some ways, o wi, getting that buy-in is the easy part. It’s certainly less complicated than surmounting the inherent technical challenges that come with building a system that includes a gas engine and two fans that provide the needed lift. 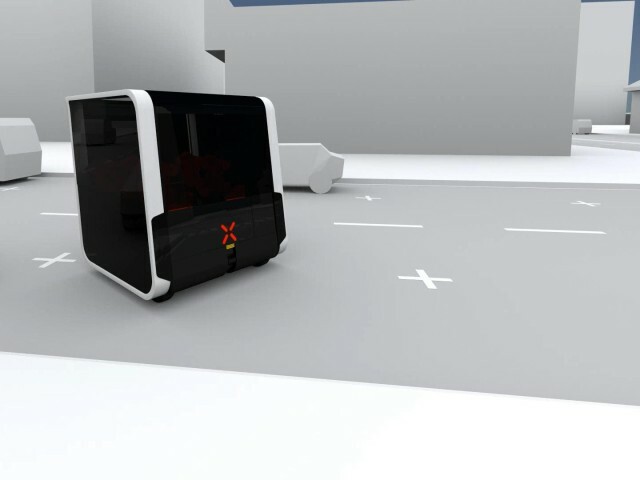 The Next concept involves autonomous pods that talk to each other. Industrial designer Tommaso Gecchelin provided the Guardian with this rendering. Transportation innovations like the jetpacks are taking on a variety of other forms – some incremental, some groundbreaking. Driverless car technology is one of the hottest sectors at the moment, with manufacturers from Ford to Mercedes-Benz making driverless tech plays. Sensors and assistive capabilities were also among the themes of the Intelligent Transportation Society of America’s Rethinking Transportation for the Next 30 Years summit in October in Washington DC. The push toward autonomy is at the heart of many current transportation breakthroughs. In Tesla’s third quarter shareholder letter released 3 Kọkànlá Oṣù, the company wrote that, “Our customers drove their cars almost 250m miles this quarter, for a total of nearly 1.5bn miles to date.” Tesla, the letter goes on, is looking forward to the day “when we can tell you how far our cars have driven our customers”. Such a future is a foregone conclusion to Italian engineer and industrial designer Tommaso Gecchelin. He’s sketched out a modular concept he’s calling Itele that features what are essentially electric pods that can connect and disconnect to other pods as needed, like some futuristic train that can start small and grow to expand, accordion-style. He envisions his Next concept as more than just a commuter model. It could double as a service delivery system, with businesses renting or owning pods of their own and sending them loaded with goods to a customer’s home. Gecchelin says he started thinking about a solution oriented around “work, leisure and on-demand services [rather than] traffic optimization”. Ni akoko yi, he’s looking for funding to allow the manufacture of a first fleet to demonstrate the concept in the real world. He’s currently talks with a few German cities about potential partnerships. Other than technical hurdles, one of the biggest obstacles standing in the way of such innovations is the status quo. Almost 17m new vehicles will be sold and hit the roadways in the US this year – vehicles that won’t soon be abandoned for a radical new way of getting from one point to the next. Elio Motors is working to improve the car with a three-wheeled, motorcycle-like concept. The company provided the Guardian with this promotional video. In an attempt to innovate in harmony with the status quo, Paul Elio frames the utility of his company’s flagship vehicle to something like the iPad. In the same way the tablet hasn’t proven to be a PC killer but instead complements users’ existing range of devices, Elio sees his company’s vehicle as something like the iPad of a customer’s garage. Phoenix-based Elio Motors is taking orders now for its three-wheeled, motorcycle-like vehicle that gets 84 miles to the gallon and which it plans to release next year with an affordable $6,800 price tag. “I think something like this has to happen,” says Elio, whose company already has more than 47,000 reservations for its vehicle. “I lived in New York City for about a year and a half, and I loved the subway system there. When you have that size population, mass transit works. Elio’s prototype product is technically classified as a motorcycle, but it comes with amenities like power windows, air conditioning, air bags and power lock doors, all in an enclosed body. The vehicles will be produced by Elio in Shreveport, Louisiana, at a former General Motors production facility. Elio said he decided to launch his company and build his own unique vehicle after living through the economic shock of 2008 – in addition to his belief that the dealership-based car business is one of “gamesmanship” and economics that aren’t in the individual’s favor. One of the things he quickly learned as he set about launching Elio Motors is that few things are as fraught with difficulty for an entrepreneur as trying to start a new car company. Back during the recession, when “the price of oil was going through the roof”, Elio says he became “pissed off seeing the wealth pouring out of this country”. He believes the auto retail business needs to change to because dealers aren’t transparent with car costs and financing. 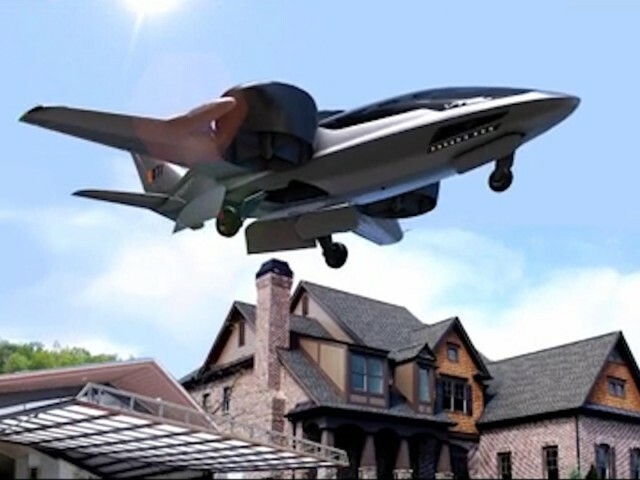 The XTI Aircraft concept features vertical takeoff and landing, which could eliminate the need for airports, according to founder David Brody. XTI provided the Guardian with this product rendering. The year after Elio started his company, Denver-based David Brody was setting off down his own path. His startup, XTI Aircraft, has developed a concept for a six-seat business jet that flies like a normal passenger jet, but with a twist – it also takes off and lands vertically. The company’s TriFan 600 jet uses three ducted fans for the vertical liftoff. Seconds after takeoff, two wing fans r otate forward to shift to horizontal flight. A fan mounted to the fuselage closes. When it comes time to land, the process plays out in reverse. XTI claims the aircraft will be the first long-range vertical-takeoff commercial airplane. Other companies are also developing vertical-takeoff technology. In June, Boeing demonstrated a near-vertical takeoff of a Dreamliner. Brody got a spark of inspiration about a decade ago when his son was 10 years old and brought home an issue of Time magazine. He recalls it included an article about an entrepreneur trying to develop a mini jet that could take off and land vertically. Brody believes that the future of the moderate commercial aircraft will be in vertical takeoff and landing. The technology would eliminate the cost of building and maintaining airports with long runways. It also could make flying even more accessible by creating air taxi services that pick you up not far from your home if not at your front door. 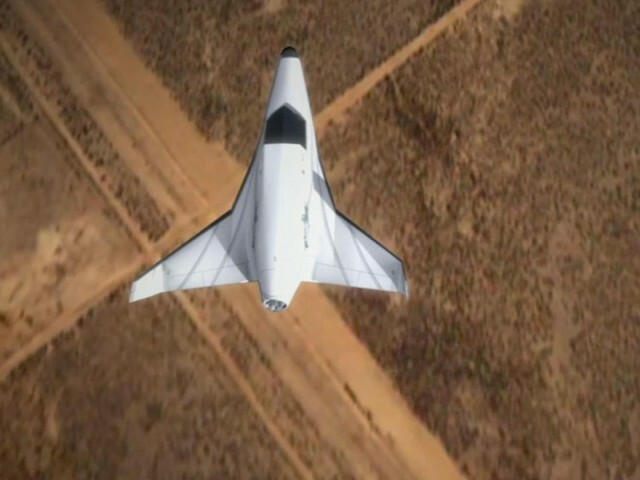 XCOR Lynx suborbital vehicles aims to take passengers on short trips to the edge of space. The company provided the Guardian with this promotional video rendering. The ultimate frontier for a transportation entrepreneur, dajudaju, is out of this world. California-based XCOR Aerospace has started selling tickets for flights on its Lynx series of suborbital vehicles, which will take passengers and payloads on a space trip up to 330,000 feet that lasts less than an hour. Passengers will essentially be the co-pilot on the trip – the only other passenger on the voyage besides the pilot. Bi eleyi, they’ll be given a “call sign” and will be able to view space through the Lynx cockpit canopy that affords an expansive view of space. The vehicle is powered by reusable rocket engines that run on kerosene and liquid oxygen. Bi eleyi, the Lynx vessel can, o wi, take passengers essentially to the border of space. XCOR envisions starting test flights sometime next summer and putting them into commercial use six to 12 months after that, with commercial flights starting possibly in 2017. One of the commonalities that becomes apparent when talking to entrepreneurs like these is how they regard their ambitions as inevitabilities. All of them – and no doubt others in the transportation space – view the status quo when it comes to the way we get from here to there today as untenable, that something has to change – and that jetpacks and suborbital vessels are far less of a risky bet than doing nothing or making small tweaks to existing concepts. Mol says the future of transportation also involves ideas and designs we likely can’t even conceive of today, because the needs of tomorrowwill be so extraordinary. Atejade nipasẹ awọn Guardian News Feed itanna fun ni wodupiresi.